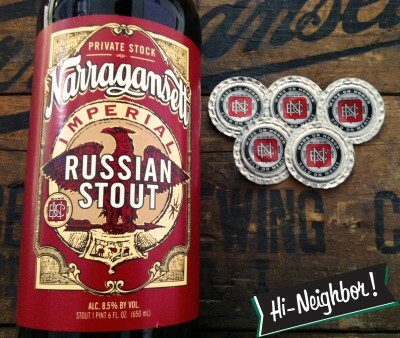 Introducing the all-new Imperial Russian Stout as the fourth installment to the Private Stock series of limited-edition craft offerings from ‘Gansett. Originally created in the 18th century by the English to impress the Russian Czar, “imperial” stouts were brewed to survive the long, hard journey to Baltic regions to nourish troops, and generally offer higher alcohol content and heavy malt flavor. ‘Gansett’s Imperial Russian Stout is a sweet, full-bodied brew with a backbone of pale malt and Munich malt, accentuated by roasted malt, chocolate malt, caramel and crystal malt. The evenly-balanced stout has notes of chocolate flavors rounded out with light carbonation. Brewed under the supervision of award-winning Brewmaster Sean Larkin at Buzzard’s Bay Brewing Co. in Westport, Mass. 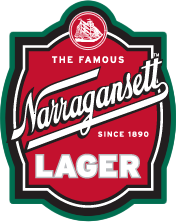 with Northern Brewer and Hallertau hops, this beer uses German and American ingredients—a nod to the six German-Americans who founded Narragansett in 1890. Its label is reminiscent of the advertisements of the early 20th century in honor of the company’s 124-year history. Look for 22oz bottles of this brew on shelves and draft throughout Rhode Island, Massachusetts, Connecticut. The beer is 8.5 percent Alcohol By Volume and 60 IBUs (International Bitterness Units).